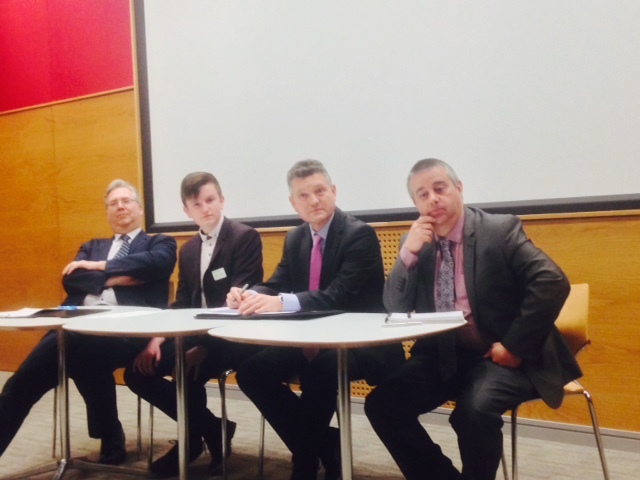 In a bid to get more young people engaged in democracy, Copeland Borough Council and Copeland Youth Forums teamed up with UCLan and the Samuel Lindow Foundation to hold the first Copeland Mayoral Election Youth Question Time event. Over 20 young people from across the borough attended the debate between mayoral candidates on Friday, getting the chance to get involved and put their questions to the candidates directly. The event was an opportunity to introduce the concept of an elected mayor and the differences that this role has from the previous system. As well as providing information, this event also highlighted the fact that young people have less access to representation when unable to vote, and offered a unique opportunity to have their voice heard. This event also gave Copeland Borough Council and Copeland Youth Forums the chance to gather information relevant to young people in Copeland, and to use this in the planning of similar debated in the future. The Question Time style event will also be published on to Copeland Borough Council’s YouTube channel as part of the 2015 Copeland Elections Pack.